Learning a different language could lead to many challenges, including learning culture, tradition, slangs, and/or meanings in sayings. While talking to a native speaker could help, there’s a more fun way to teach yourself: listening to foreign music. Not only can foreign music teach the language but it also provides insight into the culture through music video visuals and exposure to the language’s vocabulary. Teens today are listening to foreign music more often, particularly with the rise in popularity of K-Pop, or Korean pop music. Some say that the songs from the foreign language gets stuck in their heads as times goes by. The easiest ways to learn a foreign language song is by using lyrics translations and following along with the song. By breaking the song up into chunks and learning it from phrase by phrase, listeners can also take their time and soak in the lyrics. These techniques are what got many non-Korean speakers hooked on K-pop. After almost two decades of popularity in South Korea, K-pop internationally became popular by 2008, as more companies started creating groups and more people from all around the world has taken interest in Kpop. In 2013-2014, Kpop started to become more popular and successful. Today’s K-pop generation is led by BTS, EXO, Twice, and Blackpink. 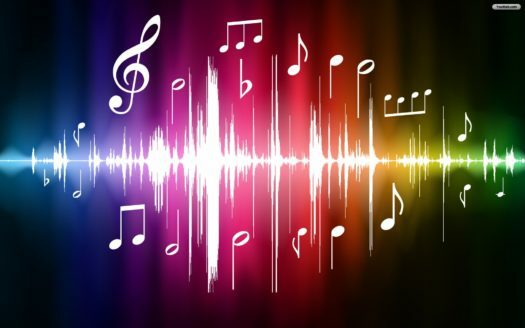 While it may be a challenge, for many who already enjoy music of other languages, it is apparent that the benefits outweigh the language barrier. “There’s so many talented people and such good music that isn’t in English,” said Barrera.